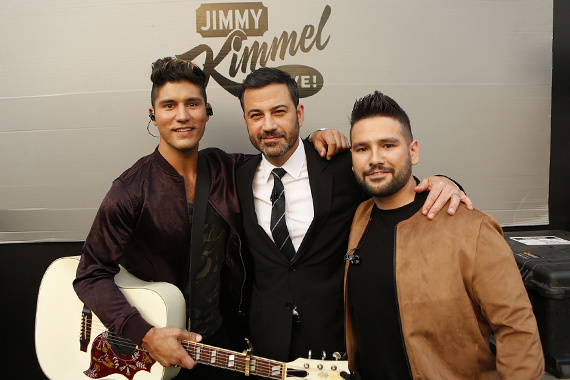 Dan + Shay performed their new single “How Not To” on their Jimmy Kimmel Live! debut Wednesday (Sept. 28). The radio single is the second from the Warner Music Nashville duo’s sophomore album Obsessed. Lane’s second single, “For Her,” off his debut album, Girl Problems, offers a real-life proposal music video which has since garnered over 124,000 views in nearly two weeks. 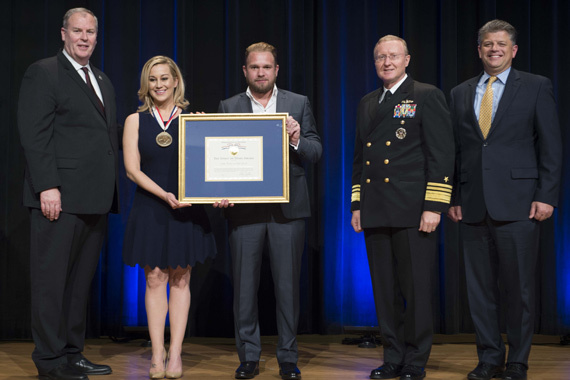 The Department of Defense honored Kellie Pickler and her songwriter husband Kyle Jacobs with its Spirit of Hope Award on Wednesday (Sept. 28). The award is presented annually to distinguished Americans and organizations whose patriotism and service reflects that of Mr. Bob Hope. Recipients have selflessly contributed an extraordinary amount of time, talent or resources to significantly enhance the quality of life of service members and their families serving around the world. The star of CMT’s docu-comedy television series I Love Kellie Pickler is known for avid support of servicemen and women with USO tours. Notable honors have included the first-ever Operation Troop Aid Chris Kyle Patriot Award, given from the parents of the slain Navy SEAL during the 2015 CMA Music Festival, and in 2013 she received the Heart For The Warrior Award from the USO of North Carolina during the Salute to Freedom Gala.